Idealpos allows you to setup a group of items that will change price automatically at a pre-determined date and time. The special price schedule can create a plan for prices for each item you determine to change during the specific times you choose. 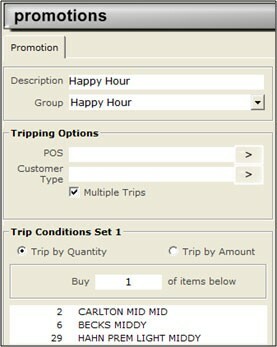 The other way to setup Happy Hour is to use the Promotions feature. You can enter a group of items and select a discount type to be applied between the date and time ranges.